Some things are designed to be thrown away. That Styrofoam container you got with your takeout order? Trash it! But that plastic container you saved last night’s pasta in? That one can be reused time and time again. 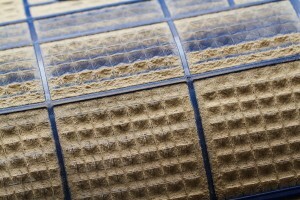 Air filters that work with your home’s air conditioning system are the same way. There are some filters designed for only one use (although “one use” is about a month). Others can be used time and over and over—as long as you keep them clean. When professional heating and cooling technicians clean the ducts in your home, you can count on cleaner air and a healthier living space. But we cannot say the same about when you let an amateur clean out your ductwork. Your ventilation system requires specialized equipment to make it clean, and that’s something that only a qualified heating and air conditioning technician can provide for you. When our technicians show up to fix an air conditioner that is not quite doing its job, we often hear, “Does it just need more Freon™ ?” Refrigerant, the name of the chemical blend used in air conditioners ( Freon™ is a brand name, likely not used in your air conditioner) can evacuate from an air conditioner over time. But the thing is, it’s not really supposed to.